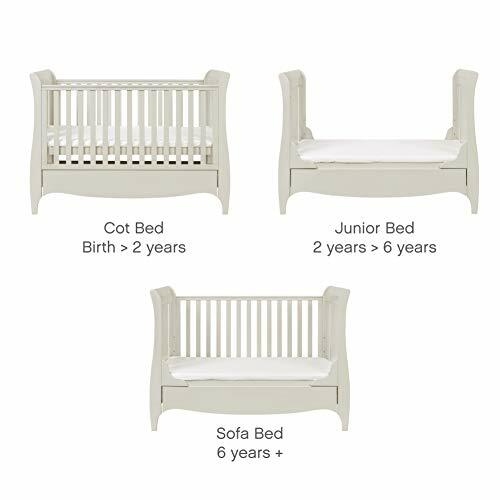 BIRTH TO 5 YEARS – Can be used as a cot bed from birth and then converted into a sofa or junior bed for toddlers aged up to 5 years. 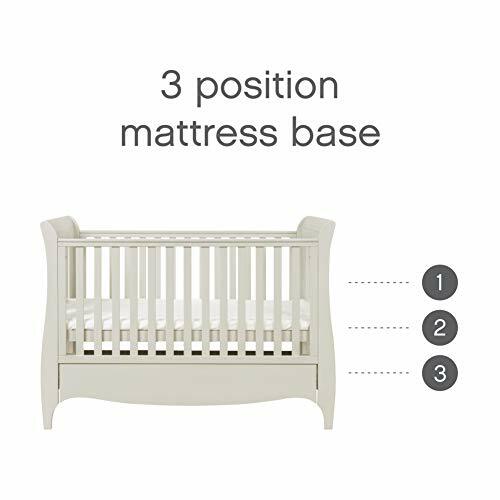 ADJUSTABLE BASE – Three position adjustable mattress base, allowing easy access for little ones. TEETHING RAILS – Fixed-side cot with durable teething rails on both sides to protect delicate teeth and gums. 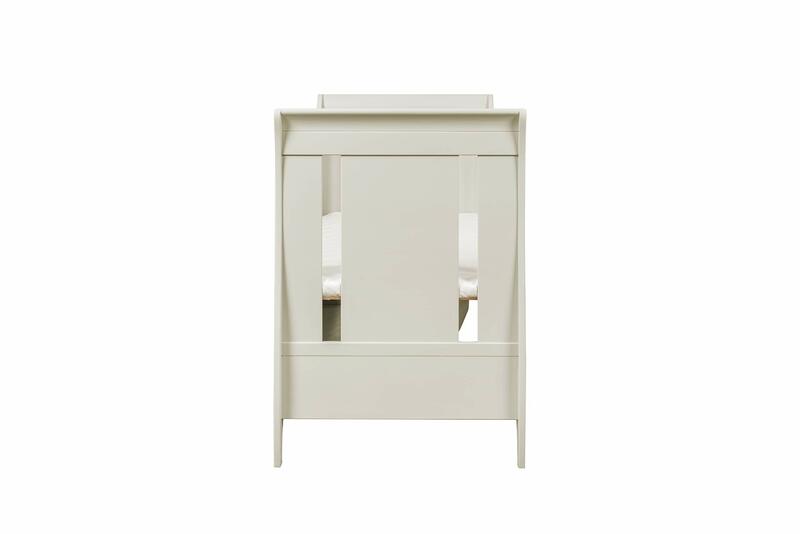 The Tutti Bambini Roma Cot bed features a simple yet classic sleigh design with a fully integrated drawer. 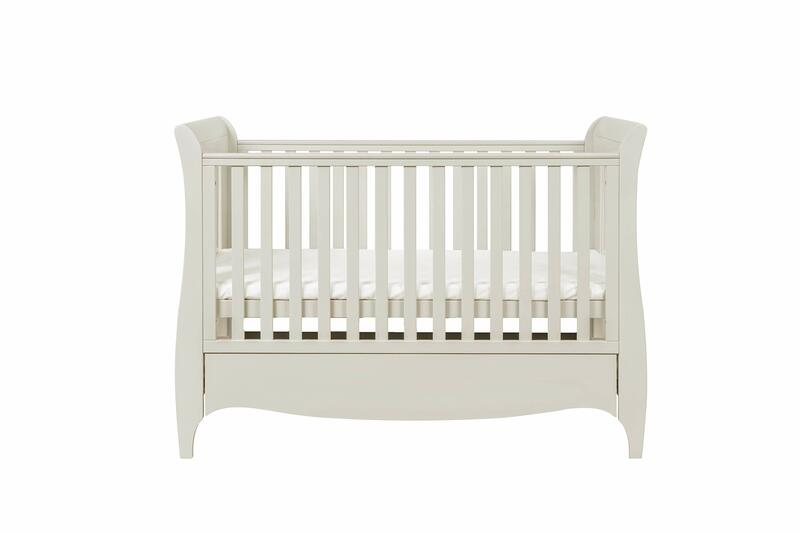 Made from solid wood, the Roma is a timeless piece that will fit effortlessly into any nursery. 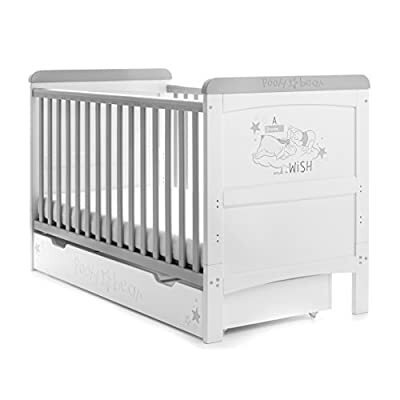 It comes with a foam mattress that fits like a glove on the bed frame, assuring you maximum comfort and peaceful bedtime for your baby. Built to last, the Roma Cot Bed is suitable from birth up to approximately 5 years. 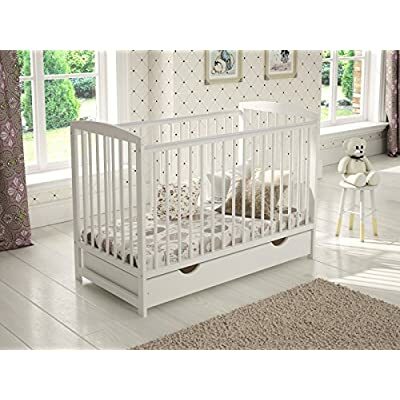 Matching furniture is available including wardrobe and a chest changer to complete another one of Tutti Bambini’s fine multi-piece nursery furniture sets. COMFORTABLE SLEEP – It includes a mattress that fits like a glove on the bed frame. 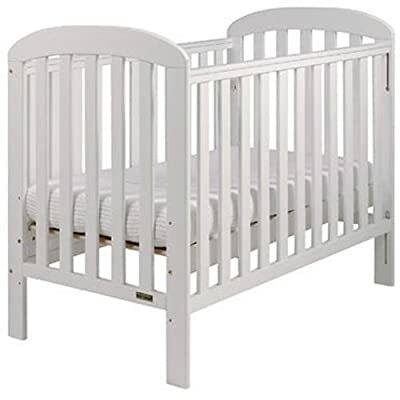 Gives extra support that helps improve the posture of your baby during sleep. 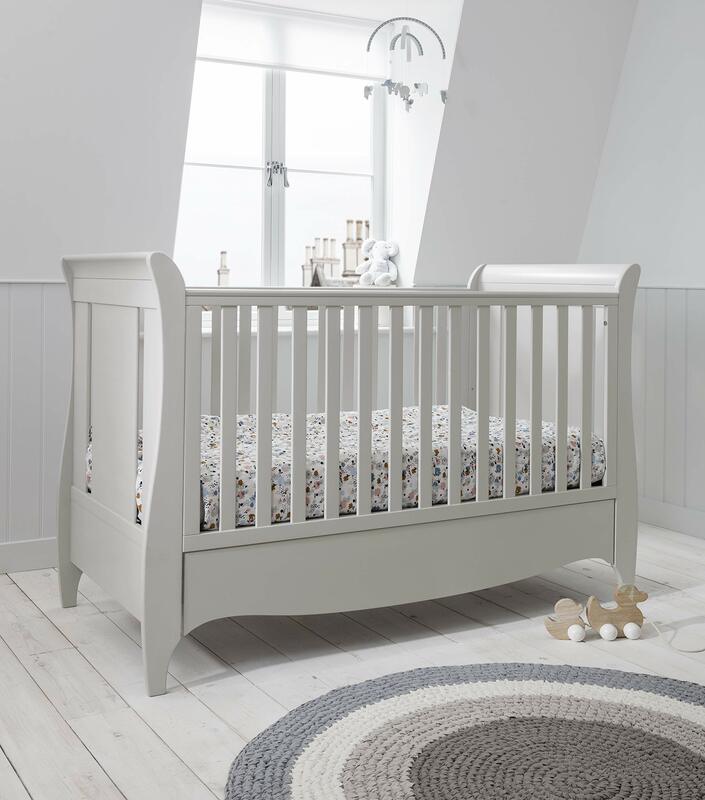 EXCLUSIVELY DESIGNED – Manufactured by Tutti Bambini with materials guaranteed to give your baby extra comfort, to offer a safe and warm environment whilst giving every nursery its style and personality.